We have this picture when the Gensan Bloggers joined the Davao City bloggers for Food Appreciation Tour(FAT). 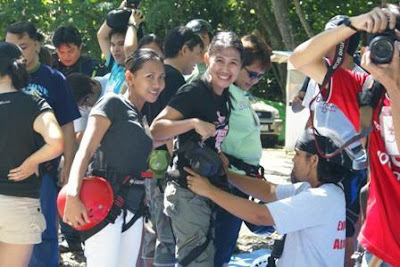 We then had great time putting on our Zipline gears and wailed over meters of suspended rope. hahhahah!